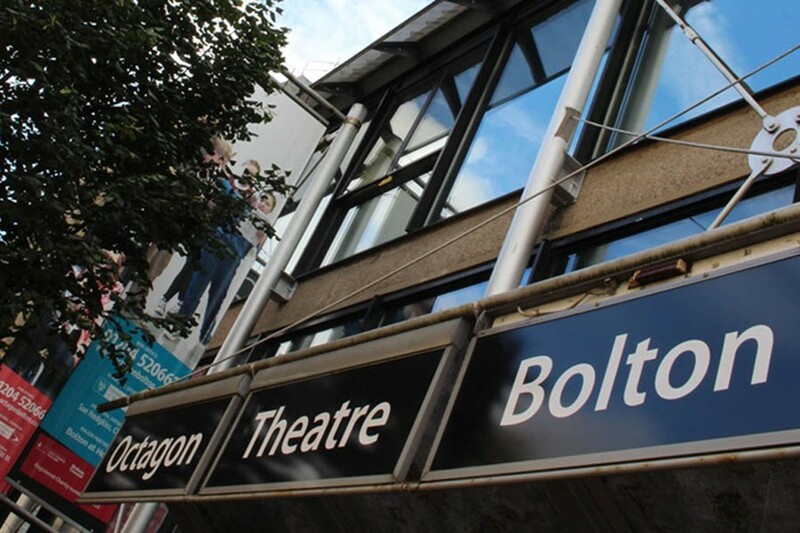 We are The Octagon Theatre situated in the heart of Bolton and believe in reaching out to all of the communities that surround us and are striving to bring wonderful theatrical experiences to the people of Bolton and beyond. We lovingly bring stories to life on our stages designed to make you laugh, cry and sit on the edge of your seat. Over the course of a year you might see a comedy or 2, a brand new play, a musical, thought provoking drama, a historical retelling and more. We have a flexible main auditorium that seats 395 when we are in the round. We also have a studio that seats 100, and we often perform in other spaces too both in and out of the theatre.